As part of activities to celebrate the 40th Anniversary of Diplomatic Relations between Vietnam and Germany, the German Business Association (GBA), the Delegate of German Industry and Commerce in Vietnam (GIC/AHK Vietnam), Alumniportal Deutschland, and Trained in GermanY, jointly organized TALENTBIZ – German Job Fair 2015 at Hoa Lu Stadium, HCMC on 24 October 2015. The job fair which was participated by Häfele Vietnam together with more than 30 prestigious brands such as Bosch, Siemens, Deutsche Bank, etc., attracted more than 2,000 students and young professionals, many of whom are Vietnamese students who have studied in Germany. 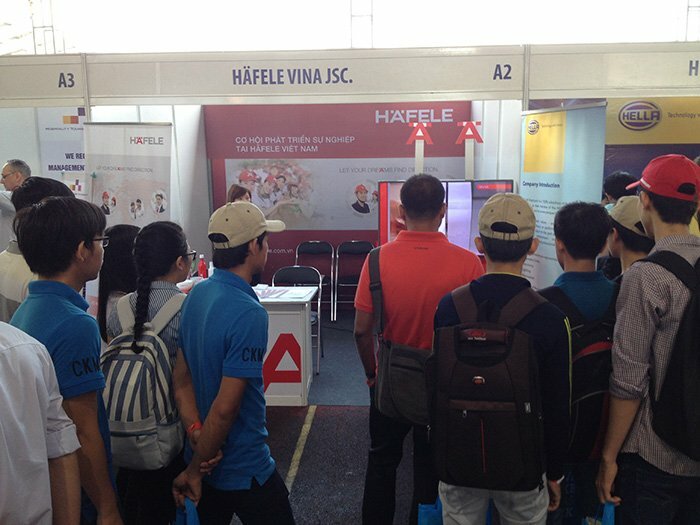 Joining the exhibition, Häfele Vietnam offered many employment opportunities to young professional workforce, enriching its human resource database, and promoting Häfele brand to the public through lively demonstration of Häfele’s high-technology and innovative products & services. Mr. Jens Ruebbert, Chairman of the German Business Association, shared his view: “ I believe in the growth of German businesses which will contribute to the economic development in Vietnam and create more job opportunities for young talents”. 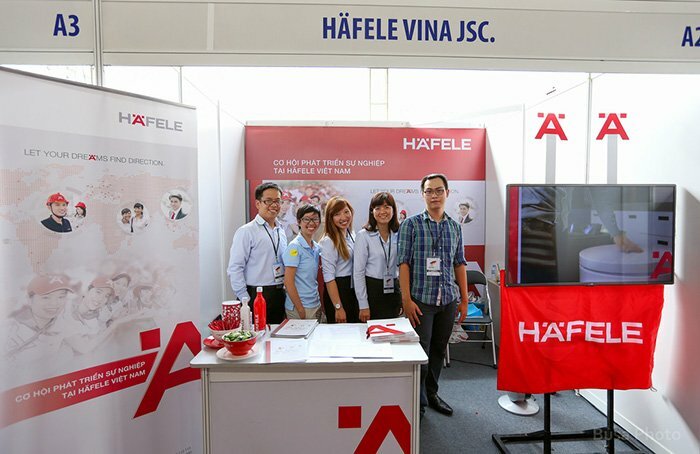 Häfele Vietnam is an example that has contributed significantly to Vietnam’s human resource development through career opportunities in a professional working environment, attracting more talents to work for the company in the near future.